Mumbai based ad and marketing agency Rediffusion Y&R has roped in iContract's Prabhakar Jampa to be its Creative Head of Design and Digital. 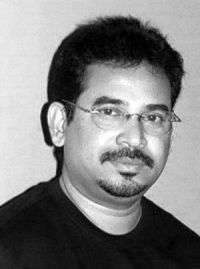 Jampa will report to Rediffusion YR's national creative director, N Padmakumar. N Padmakumar, National Creative Director, said, "Prabhakar brings with him an amazing blend of classical fine art, sharp advertising thinking and a cutting edge understanding of new media, digital and otherwise." Jampa was a senior creative director at iContract, an arm of Contract Advertising India Pvt Ltd, a marketing solutions company that mainly focuses on digital, new media solutions, BTL (below the line) and CRM (customer relationship management). While at iContract, he developed new media solutions for clients like Shopper's Stop, Samsonite and Tata AIG. "What drew me here was the vision that Paddy and Rajappa have for the agency. Their focus on engagement ideas is very exciting coupled with the enormous opportunities that Rediffusion's brands offer in terms of scope and challenge," said Prabhakar Jampa, Creative Head â€“ Design & Digital. He has more than 20 years of experience and has worked at Karishma Advertising, Pressman Advertising and Marketing, Maa Bozell, McCann, Wunderman. Between 2002-2004, he ran a creative agency in Bangalore called Clairvoyanz. He has also worked on various brands including HLL, BSNL, Bambino, Microsoft, Tektronix, IBM, BPL mobile, Infosys and NIIT.